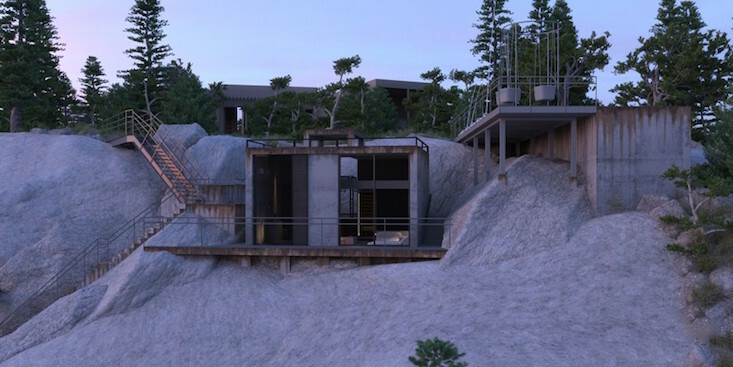 Kiev-based architecture studio Igor Sirotov have unveiled their PS1 house project, a private house built into the rocks in an undisclosed Russian location. 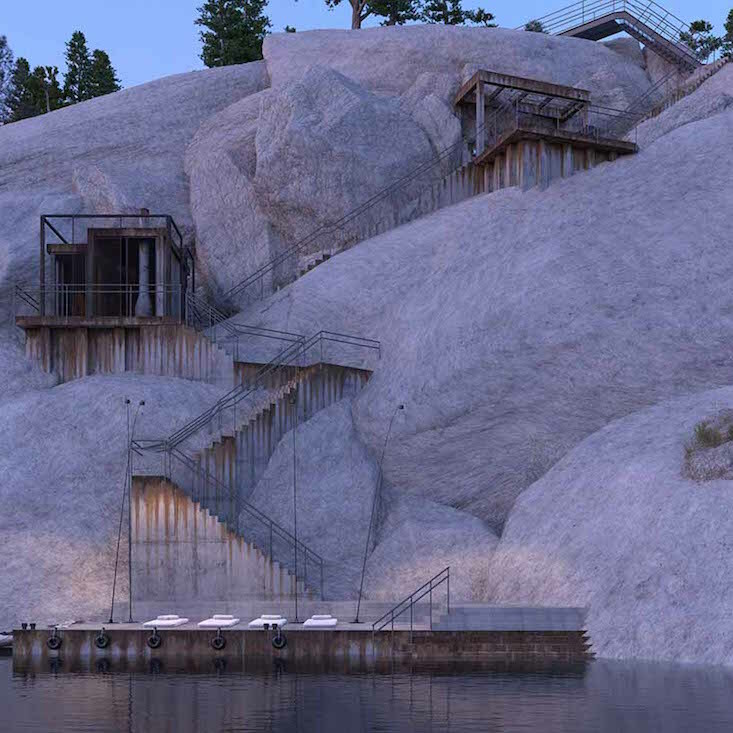 The house's individual rooms are connected by way of an interlinking staircase, starting at the bottom of the nearby lake and rising up to the rock's peak. 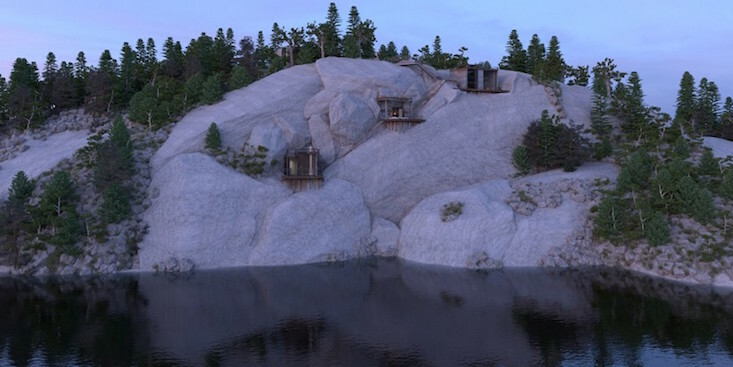 Aiming to work together with the existing environment, the architects constructed an interconnected resistance that echoes the landscape itself, making use of natural materials that blend seamlessly with the rock face. 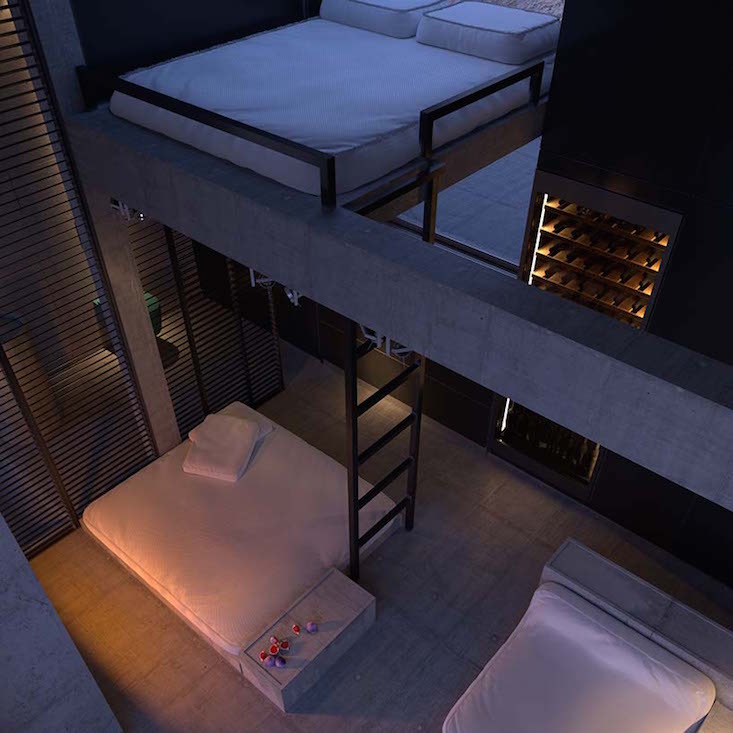 Inside, the different areas of the house are connected by ladders and vertical dividers, mimicking the exterior.